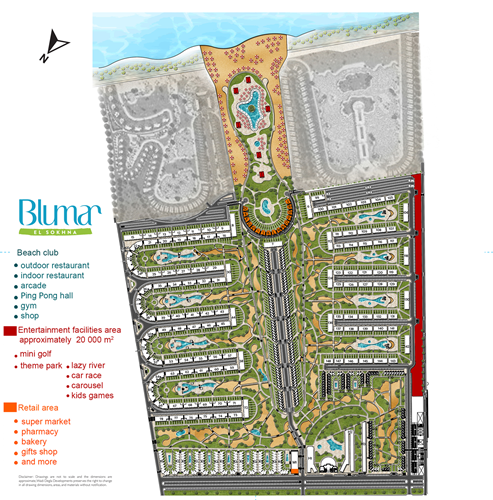 At Blumar Sokhna swimming pools will cover the resort, you will greatly enjoy the crystal clear waters! Don’t miss out on the spectacular theme park, which will provide you and your family with an epic adventure, you will have fun enjoying Nature as you will be surrounded by greenery. Blumar sokhna retail area will take care of all your shopping needs and wants. Have fun being pampered at our hotel and enjoy a joyful & fun vacation!